Click the button below to add the Bald Scalp Spot Cream #Bald Spot Treatment - Scalp Problems# to your wish list. Bald spots can cause stress and concern. But not all spots are permanent. There are many reasons that can cause a bald spot to appear. Bald spots can result from harsh chemicals, hair styling, gels, wax, allergic reactions, hair color, relaxers, medications, stress or health and diet issues. Hair can fall out and follicles may go dormant to recover from damage. If no further damage occurs and you nurture your follicles in the bald spot area, they may be able to recover to begin healthy hair growth. We searched the world for ingredients renown through history and used by ancient cultures. Some believe these ingredients to be magic remedies. They may or may not have special powers but they are loaded with energy and nutrients. Exclusive to the formula, created with Tucuma, Foraha, Karanja Seed, Olive Leaf, Plantain, and super boosted by the addition of Allantoin, Panthenol -Vitamin B5 and Vitamin E.
This cream targets areas with rich nutrients like fertilizer does for a lawn. Gentle enough for daily use. Suitable for use by Men and Women. I searched for a bald spot product that did not have rogaine or any other harsh ingredients. My scalp is so sensitive to whatever chemical I try. So I found this and used the cream for a little bald spot area at the top of my head for about 2 months and not only could I tell a difference but my hair dresser could actually see small hairs coming in...talk about joy. I like everything about it except that I wish it was less expensive. Leave-in treatment moisturizes and soothes dry scalps, strengthens hair, and continuously assists. Lightly conditions for soft, manageable hair. Use sparingly, as a little goes a long way. Crafted in the USA with the best ingredients from around the world. No harsh or unpronounceable chemical ingredients. Color safe. Gentle enough for daily use by women and men. Nature’s best ingredients like Chia Seed, Rosehip, Nettle, Sea Buckthorn. Pumpkin Seed provide nutrients with vitamins that feed and moisturize your hair follicles and scalp. Works well together with our Vinegar Nutritive Rinse Cleanser. No Mineral Oil, No Silicone, No Artificial Color or Fragrance, No Alcohol, No Soy and Paraben Free. After searching for something to help with a small bald spot that I had ….so tiring. How many products have only 5 star reviews…..that’s almost impossible and as soon as I see all 5 stars I run. I found this and seen some reviews seem good and a few negative too. At least for me I can believe in the reviews and decide for my self. Also I wanted a product with clean ingredients and this seemed to be what I was looking for. I investigated and researched the ingredients within this bald spot treatment and decided to move ahead and buy it. After consistent use with it for a few months I can say that the area were the spot was has all new baby hairs coming in. I am so pleased at how this worked, how gentle and easy! I have been fighting a small bald spot on the back of my head for almost a year. I was told it was a bacterial infection and that made me really concerned. I did not want it to get bigger and spread. I ordered this and then followed the instructions and applied to the spot each day. It took about two months before I noticed anything but then bingo! Sprouting hairs! I feel that I am on track and this was all that I needed. I am pleased and thankful. 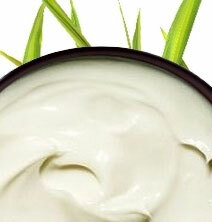 This cream is a leave-in product that moisturizes, soothes and nourishes dry scalps. Can be used on men and women. Gentle enough for daily use. Lightweight formula that can be used to moisturize and nourish the scalp and hair. Tucuma Butter is one of the ingredients that this product consists of. Tucuma Butter is known for achieving strengthened by providing elasticity and moisturizing hair follicles. Vitamin E works as an antioxidant, which means it will work as protection against any damage that has harmed the follicles previously, and will encourage strengthened hair. Jojoba Oil, just like Vitamin E, works as an antioxidant. The difference is that besides having the similar benefits as Vitamin E, it also protects from breakage and split ends while working as a moisturizer to smooth out any roughness. Orange Peel Oil conditions and provides shine to your hair. Shea Butter is believed to have anti-inflammatory properties that may assist the scalp in regrowing hair. Chia Seed Oil has zinc that is thought to be helpful to stimulate healthy hair. Foraha Oil is considered to be one of the most active of all plant oils. It is well known for its healing properties, which are great for skin care. Dab a small amount of the cream on one finger and massage it throughout the affected area. Use it as a leave in cream. • Can be used up to two to three times a day. A small amount should be applied to the area. • We suggest our Vinegar Nutritive Rinse Cleanser along with this product. This vinegar will help remove buildup that may accumulate on the scalp. Once the scalp is cleansed and free of buildup, the product will be able to penetrate the scalp and become more effective. 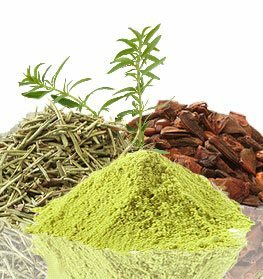 Aloe Barbadensis (Aloe Vera Hydrosol), Astrocaryum Vulgare (Tucuma Butter), Salvia Hispanica (Chia Seed) Oil, Calophyllum Inophyllum (Foraha) Oil, Pongamia Glabra (Karanja Seed) Oil, Rosa Rubiginosa (Rosehip) Oil, Vitis Vinifera (Grapeseed) Oil, Urtica Dioica (Nettle) Extract, Butyrospermum Parkii (Shea Butter), Hippophae Rhamnoides (Sea Buckthorn) Oil, Simmondsia Chinensis (Jojoba Seed) Oil, Cocos Nucifera (Coconut Fractionated) Oil, Cucurbita Maxima (Pumpkin Seed) Oil, Cetyl Alcohol, Behentrimonium Methosulfate, Sodium Lauroyl Lactylate, Pogostemon Cablin (Patchouli) Oil, Daucus Carota (Carrot Seed) Oil, Salvia Sclarea (Clary Sage) Oil, Citrus Sinensis (Orange) Peel Oil, Cymbopogon Flexuosus (Lemongrass) Oil, Mentha Piperita(Peppermint) Oil, Plantago Lanceolata (Plantain) Extract, Olea Europaea (Olive Leaf) Extract, Panthenol (Vitamin B5), Allantoin, Caprylyl Glycol, Hydrolyzed Jojoba Protein, Vitamin E (Tocopherol). Customer hair reviews and testimonials are provided for informational purposes only. Customer hair reviews and testimonials reflect the individual hair reviewer’s results and experiences only. Results may vary based on individual user. There's no guarantee of specific results and results can vary. Ever since I was little, I have had trichotillomania( which is when you pull out your hair when your stressed or bored) and I stopped around when I was 6 or 7 and it was never really bad but last year when I was 14 I started to pull it out again... I couldn't never stop myself.. It got really bad to where I had two scalps spots on my head one in the center and one near my part.. I'm now 15 and still try to make sure I don't pull out any more hair.. I started using this product about 5 days ago! This is the best product I could ask for! I already have new hair growing in one of my scalp spots! I'm super excited to continue using this product! I am now more confident to wear my hair down or anyway I want it!! Ever since I was little I had a disorder to pull out my hair when I get bored or stressed, I have been using this for about 3 weeks now and I can already see hair coming in! And not only is it coming in but it's about a inch long now! I love this product so much' and definitely will continue to buy! If you have any scalp spots this is the product you need! It really works and built my self confidence up about my hair! I think the scalp spot that I had on both sides of my head is filling in, which I am truly grateful. I guess miracles still do happen, and I call all of your products a miracle in a bottle. Now I have one inch of new growth and the scalp spot is growing in very nicely. I am using this scalp spot cream to grow my hair in this one "scalp" spot I have. My hair is very thick but I noticed one small section by my edges that's is empty of hair. I think it's because I've been putting a lot gel in my hair and leaving it. I use it for my scalp along with the vinegar rinse and I get a bit of new growth every two weeks. Use it once or twice a week and I see results. It takes time tho, but that's only natural. Also I am using the herbal gel to keep the scalp healthy so hair can grow better. I have been using the treatment for scalp spots for several weeks every other day, my spot seems less now. I’m hoping that if i keep using the product that my scalp spot will continue to regrow more hair in the end. I have my hopes up that it will make my hair and scalp healthy again. So far so good. I have seen a difference in my hair that thinned due to medications and I must say this is the only product that has allowed me to see a visible change and I love that it is all-natural product. I was not looking for a miracle, but I definitely seen results within 4 weeks. This product worked for me. I had extreme thinning and sparse hair on the top of my head for about two years. No other product including Rogaine worked so I started wearing wigs. I used this product in conjunction with the Women’s Hair Treatment, Hair Therapy Shampoo and Vinegar Rinse. Within 3 months my hair has filled in and my baldness is no longer visible! I actually am almost to the point where I may not need wigs any longer. I was so satisfied that I ordered several products. Based on my results, I'm a believer and will use nothing else. I use several products as a part of my hair care and facial care regimen. I began losing hair several years ago as a result of meds and hormone imbalance issues. That's when I discovered just natural. I've been using scalp spot treatment irregularly since the first of this year. I didn’t expect it to regrow hair. I bought it to camouflage those thinning areas. The formula causes the hair to crinkle at the root, giving the appearance of thicker, fuller hair. I use it on the crown, and the edges. Well, I've noticed that there is more fine hair on the hairline than before and the crown is showing less scalp. I think it’s working. I'll keep using it, because it's doing more than what I expected. I use this cream each day before work and before bedtime, and the results are great. After using it, my hair is coming back slowly. It is easy to spread throughout your hair and adds strength and shine. Would recommend it if you have a bald spot. If you have a scalp spot this is the help you need. Truly an amazing scalp treatment. You will have hair in no time. I use it once a week. My hairstylist noticed how much my hair had improved without me even telling her anything and she actually bought one for herself! LOVE IT !! I am African American and have very thick, coarse hair that tends to be very dry. I started with a couple of small spots. I have been using the cream for 3 months and honestly the spots are almost gone. I also using the shampoo for hair fall. My hair is somewhat curly. I damaged my scalp with a flat iron. This product for my scalp spot has made the biggest improvement in hair than any other product, ever. I'm 42 yrs old and have hair all over my head but it's very fine and thin -ponytail the size of a small pencil. This cream was, truly, almost miraculous. My ponytail isn't really bigger but my hair looks significantly thicker and fuller. Even the woman who cuts my hair noticed a difference, as have friends and relatives. This product is amazing! I straighten and blow dry my hair almost daily and it is damaged! This cream for scalp spots really does work. I don't think it necessarily helped with my breakage, but it definitely makes my hair grow and feel healthier! I think the bald spot that I had on both sides of my head is filling in, which I am truly grateful. I guess miracles still do happen, and I call all of your products a miracle in a bottle. Now I have one inch of new growth and the bald spot is growing in very nicely. Ever since I was little I had a disorder to pull out my hair when I get bored or stressed, I have been using this for about 3 weeks now and I can already see hair coming in! And not only is it coming in but it's about a inch long now! I love this product so much' and definitely will continue to buy! If you have any bald spots this is the product you need! It really works and built my self confidence up about my hair! best product I could ask for! Ever since I was little, I have had trichotillomania( which is when you pull out your hair when your stressed or bored) and I stopped around when I was 6 or 7 and it was never really bad but last year when I was 14 I started to pull it out again... I couldn't never stop myself.. It got really bad to where I had two bald spots on my head one in the center and one near my part.. I'm now 15 and still try to make sure I don't pull out any more hair.. I started using this product about 5 days ago! This is the best product I could ask for! I already have new hair growing in one of my bald spots! I'm super excited to continue using this product! I am now more confident to wear my hair down or anyway I want it! !